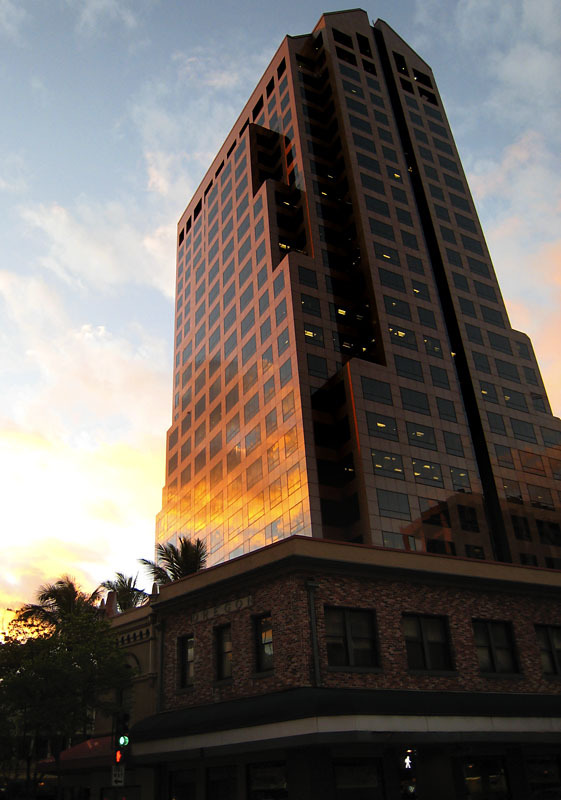 Downtown Honolulu in the late afternoon when the city has quieted down and the day is moving towards sunset. 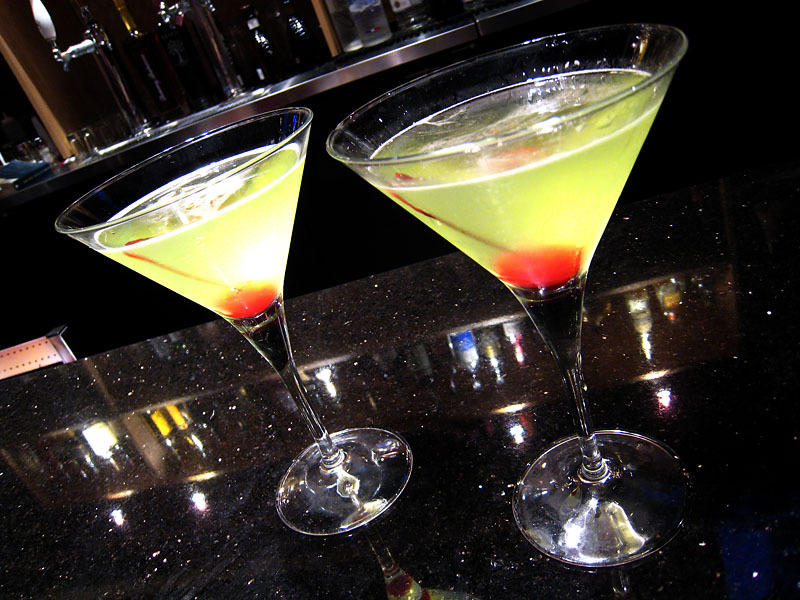 $2 Apple Martinis at the Hukilau Bar in downtown Honolulu. 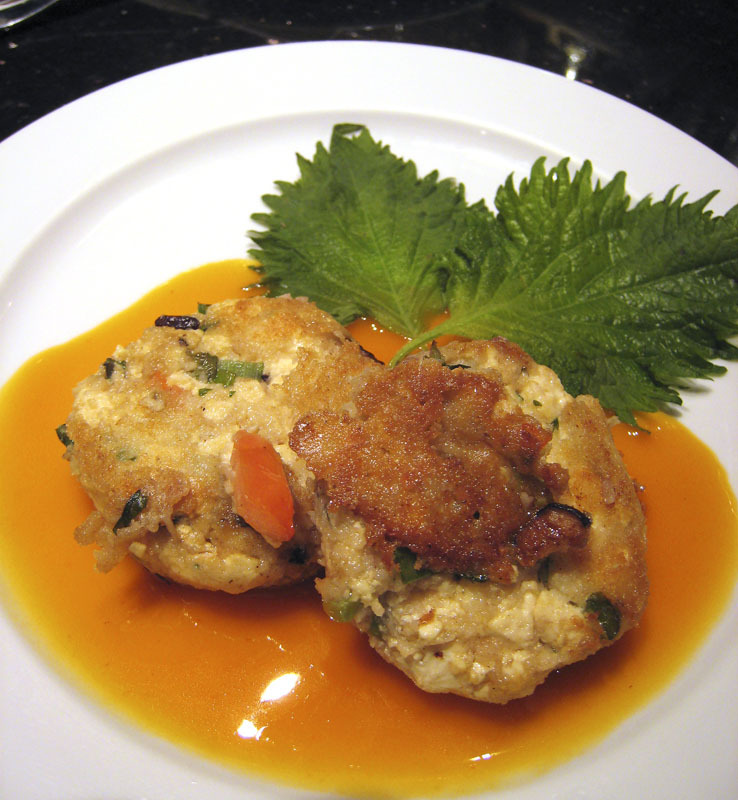 Seared Tofu Poke Cakes with Mandarin Chili Butter Sauce. Good stuff.